The Brother PCE7070PRW is a computerized sewing machine from the Project Runway series of the renowned makers. Project Runway has received critical acclaim since its inception and the PCE7070PRW finds itself as one of the premier models in the series. Designed for ease of use and convenience, the Brother CE7070PRW offers high levels of customization and versatility in stitching. This computerized sewing machine is built to make even the more complex quilting and stitching jobs seem doable. It’s an ideal sewing machine for beginners and its price makes it even more worthwhile. While the CE7070PRW has been received positively, we let you be the judge and decide whether this sewing machine is made for you or not. The Brother CE7070PRW computerized sewing machine comes with 70 different built-in stitches which includes decorative and quilting stitches. This allows users to have the creative freedom to incorporate different stitching styles in their tasks. With 12 heirloom and 14 quilting stitches, users can take advantage of the versatility that the CE7070PRW brings. The sewing machine also features 7 automatic one step buttonholes that allow users to easily insert buttonholes in different types of fabrics. The CE7070PRW features an LCD display that allows users to easily choose between the 70 programmed stitches. The body itself has a stitch chart that allows users to choose between different types of stitching patterns. The stitch length and width control allows users to adjust the stitching patterns as they move to different areas of the fabric. By simply selecting a length and width, users can move from straight stitching to zigzag and then back again without any hassle. The automatic needle threader in the Brother CE7070PRW is fairly simple to set up. All you have to do is push the lever to place the thread in the needle eye. For users that working on a time schedule, this can prove to be a time saver. The sewing machine also features a top drop-in bobbin system that is also easy to use and makes sure the bobbin stays intact when winding it. It also allows users to replace the bobbin easily, which is another factor that makes it a time saving sewing machine. The Brother CE7070PRW is a lightweight and compact sewing machine that weighs only 16.4 pounds with accessories. Highly portable and versatile, the sewing machine is already a favorite among new and experienced users. It comes with a 25 year limited warranty and a host of accessories that include presser feet, bobbins, needle sets, and foot controller to name a few. Fairly simple to setup and use. Highly portable and ideal for various stitching jobs. Wide table and working lamp for big projects. 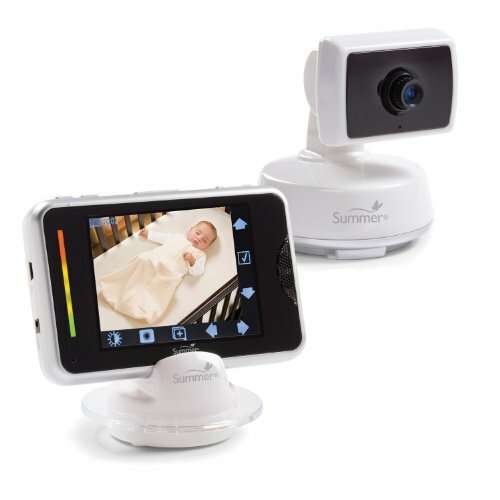 Very convenient – LCD screen allows users to choose between different features. Marked needle plate – allows stitching in straight lines. Poor quality materials on the thread holders – tends to bend or break. Not practical for heavy bulk stitching jobs. If you are a designer, then you already know what sewing machine you’re going to buy. The ease of use and variety in stitching patterns allows designers the creative freedom to design unique pieces. The Brother CE7070PRW is definitely one of the best sewing machines in the market for designing visually striking clothes. It allows users to have comprehensive control over their stitching jobs, and is one of the faster sewing machines in its price range. Essentially, the Brother CE7070PRW is designed for beginners who have a fair idea of basic stitching. It is one of those sewing machines that help you become better with different stitching jobs over the long run. Many advanced users will find CE7070PRW highly practical for their stitching jobs. While it may not be much practical when it comes to heavy bulk stitches, not many match the versatility that CE7070PRW brings in stitching options and accessories. The Brother CE7070PRW sewing machine deserves all the praise it gets for being the probably the most versatile sewing machine in the market. This machine is made for the fashion conscious minds despite being affordable. Its lightweight and compact body makes it highly portable, and it doesn’t need a dedicated working space for that reason. Project Runway is certainly making the news for all the right reasons and Brother may just have produced what could be the iconic model in the series. The CE7070PRW is one of the most highly rated sewing machines by users and industry experts alike and provides good value for money in the long term. 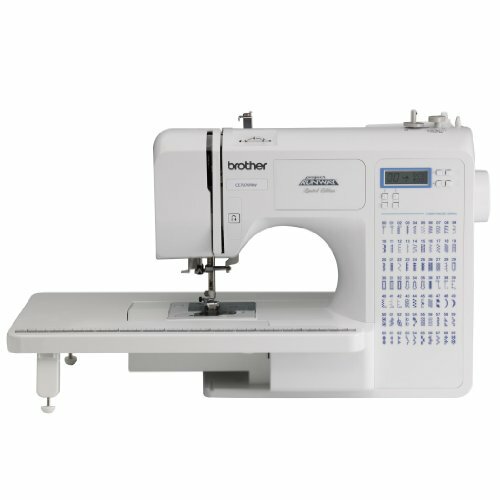 It’s highly functional because both beginners and advanced users have found it practical in their stitching jobs and believe the sewing machine lives up to its reputation and price tag. Overall, the Brother CE7070PRW is another excellent sewing machine from Brother and one that you can invest in with peace of mind.